ARLINGTON, TX (March 5, 2015 – Undefeated World Boxing Organization (WBO) lightweight champion and the Boxing Writers Association of America’s (BWAA) Fighter of the Year TERENCE “Bud” CRAWFORD is movin’ on up — to the junior welterweight division — where he will take on THOMAS “Thunder” DULORME, the No. 2-world-rated contender, for the vacant WBO junior welterweight world title. Crawford vs. Dulorme will take place Saturday, April 18, at College Park Center located on the campus of the University of Texas Arlington in the Dallas/Fort Worth area. The world championship fight will be televised as part of a split site doubleheader live onHBO Boxing After Dark®, beginning at 9:45 p.m. ET/PT. Promoted By Top Rank®, in association with Gary Shaw Productions, Foreman Boys Promotions and Tecate, tickets to the Crawford-Dulorme world championship event will go On Sale This Friday, March 6 at 10:00 am CT. Priced at $200, $100, $60, $40 and $25, plus applicable fees, tickets can be purchased at College Park Center box office, online atwww.utatickets.com or www.utacollegpark.com or by phone at (817) 272-9595. “I am ready to do bigger and better things at 140,” said Crawford. 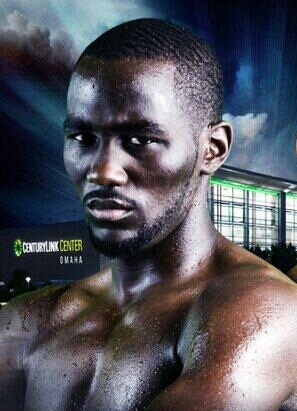 Crawford (25-0, 17 KOs), of Omaha, NE, makes his 2015 ring debut looking to build on his star-making 2014 which featured three world championship victories as well as Fighter of the Year honors from the BWAA and major media alike. He began his career-best year last March 1, just 13 days short of the sixth anniversary of his professional debut. Crawford captured the WBO lightweight title, dethroning defending champion Ricky Burns on Burns’ home turf of Glasgow, Scotland. Scoring a powerful and unanimous decision, Crawford put the boxing world on notice with his virtuoso performance as he pulled out all stops in dismantling Burns, rocking the defending champion throughout the fight, while switching back and forth between orthodox and southpaw stances. He followed that with a dramatic and critically-acclaimed knockout victory of undefeated former world champion and Cuban Olympic gold medalist Yuriorkis Gamboa on June 28 in a Fight of the Year nominee. It was one of the most-watched fights of the year with over 1.2 million viewers catching the live, first-time airing of the fight, according to Nielsen Media Research. He concluded 2014 on November 29 with a thorough shellacking of one-time world title challenger and No. 1 contender Ray Beltran, winning 11 of the 12 rounds. Crawford is only the second Nebraska native to be recognized as a boxing world champion. Perry “Kid” Graves, from Rock Bluff, captured the welterweight crown, knocking out Johnny Alberts in Brooklyn, in 1914, according to the Omaha World-Herald. Dulorme (22-1, 14 KOs), of Carolina, Puerto Rico, graduated to the professional ranks in 2008 after a stellar amateur career which included a sterling 140-2 record. 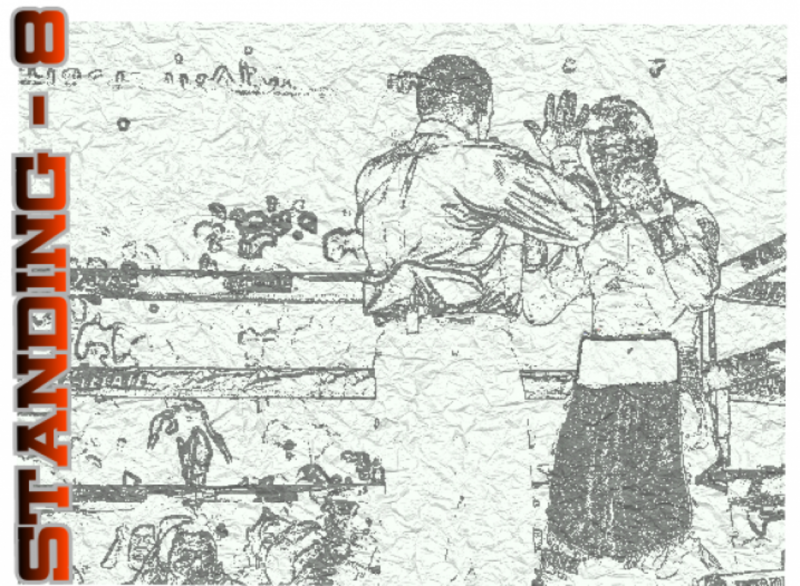 He has long been a fan-favorite of Puerto Ricans for his slick all-action fighting style. Dulorme enters this fight riding a two-year six-bout winning streak, with his career-best victories coming in back-to-back fights in 2014 and both televised on HBO. He opened up 2014 with a 10-round unanimous decision victory over undefeated contender Karim Mayfield to capture the NABF super lightweight title and ended the year unifying his NABF title with the NABO junior welterweight title via an exciting 10-round decision over Hank Lundy. A consensus Top-Five contender, Dulorme is world-rated No. 2 by the World Boxing Association (WBA), No. 3 by the World Boxing Council (WBC) and No. 4 by the WBO and the International Boxing Federation (IBF). GaryShawProductions or facebook.com/hboboxing, and on Twitter at twitter.com/trboxing, twitter.com/trboxeo, twitter.com/GaryShawBoxing or twitter.com/hboboxing. Use the Hashtag #CrawfordDulorme to join the conversation on Twitter.